Save 10% Right Now on All Patio Covers! Or Contact Us Here Or Build Online! 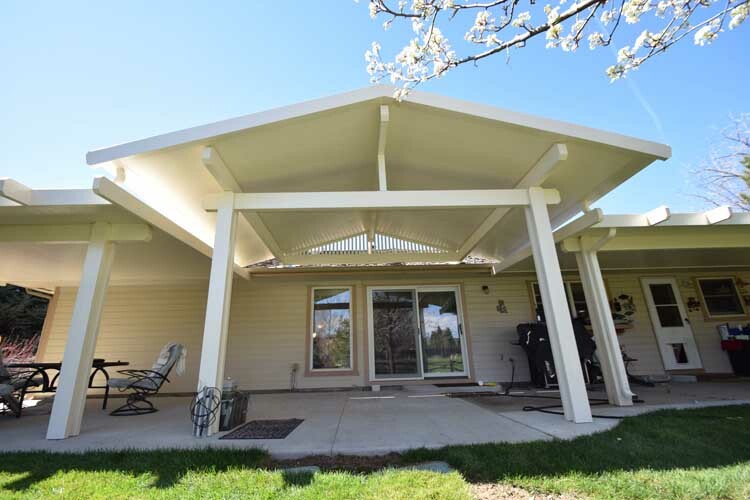 A beautiful covered patio is an excellent place to relax and entertain. 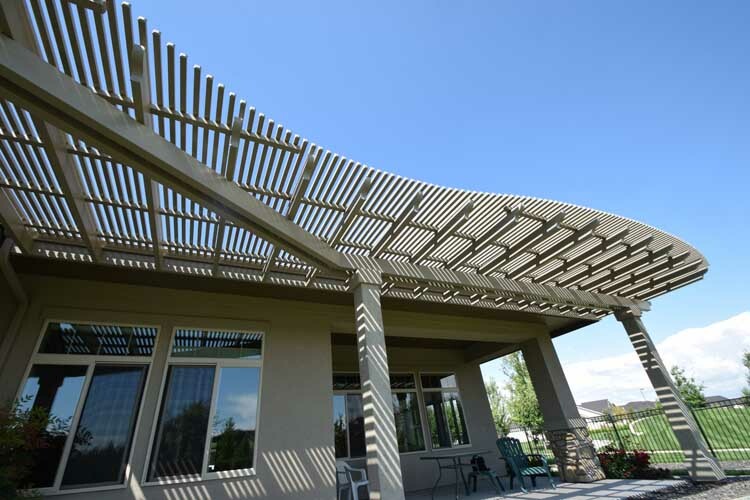 Whether it’s a gathering of friends for a party, an outdoor family meal or just for reading a book, patio covers from CoverTech protect you from the intense Idaho sun. Your family, friends, pets – even your furniture – benefit from being out of the blazing sun. 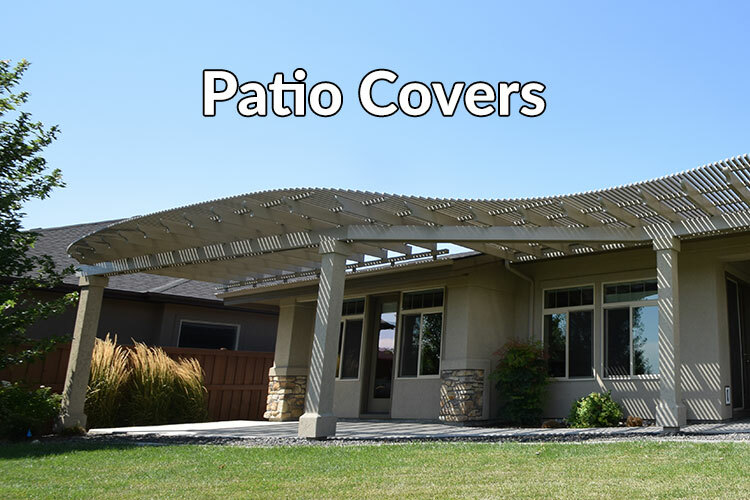 A covered patio gives you a place where everyone can be protected from the elements during any season. • Extended Living Space: A covered patio increases the time spent outdoors during every part of the year – extending your seasons. • Cooler Temperatures: If any part of your home sits directly in the sun, a patio cover will keep the sun from beating into some of your windows – thereby increasing comfort and reducing energy costs. • Increased Home Value: A well-designed and well-constructed covered patio makes your home more appealing to potential buyers. • Outdoor Furniture Protection: Protect your patio furniture from the elements and sun damage. • More Fun! : The added space of a patio cover allows for more parties and get-togethers with family and friends in almost any season – whether grilling or cooking outside or enjoying food and drink – even for your holiday parties. Get information on our flat-panel, insulated and corrugated solid cover options the broadest variety in choice and cost. 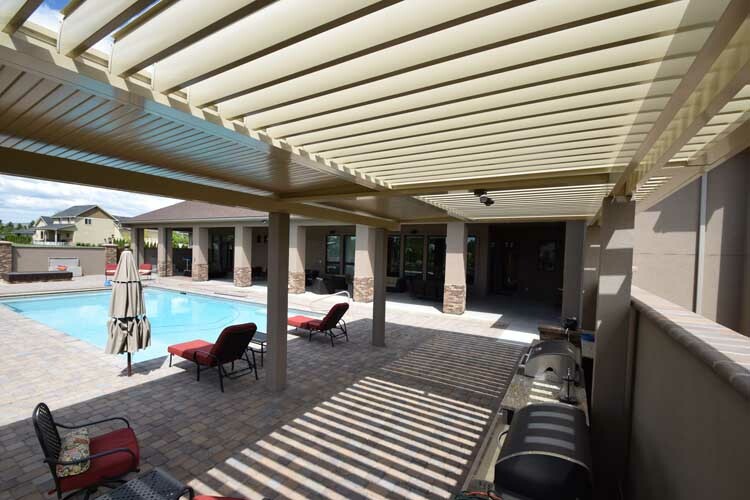 Learn about the flexibility of our Equinox louvered covers – remote-controlled for sun or shade anytime. Learn about adding filtered shade to your outdoor living space, while still maintaining the open-air feel you love. Save 10% on All Patio Covers!